Dry skin is a common problem during winter. But there are some of them who carry dry skin throughout the year. 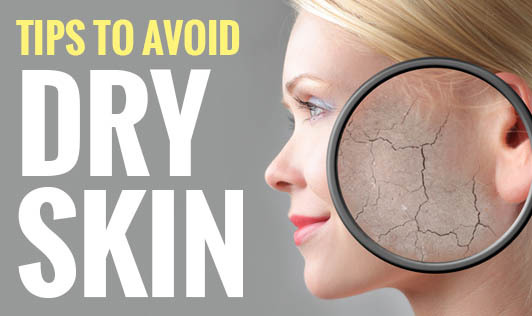 Dry skin can look scaly, patchy, and unattractive. • Olive oil: It is natural and works great as a natural cleanser and moisturizer. Warm the oil and just rub the oil into your skin and drape a warm, damp cloth over your face until it cools. You will see how your skin turns smooth and soft. • Avocado mask: Puree half an avocado and mix it with a teaspoon of olive oil and a tablespoon of honey for very dry skin. Apply the mask to your face, leave it on for 15 to 20 minutes, and wash it off. • Olive oil and sugar scrub: Create a naturally moisturizing exfoliating scrub using a combination of olive oil and sugar. Combine ½ cup of sugar with 2 tablespoons of olive oil. If you want, you may add an essential oil like lavender for a natural fragrance and its relaxation benefits. Gently rub the scrub into your skin, and then wash it off. 1. Use a rich moisturizer to protect your skin. 4. Opt for a mild body wash rather than a drying bar soap. 5. Drink around 8 to 10 glasses of water in a day and keep your body hydrated. Take care of your skin and stay healthy!